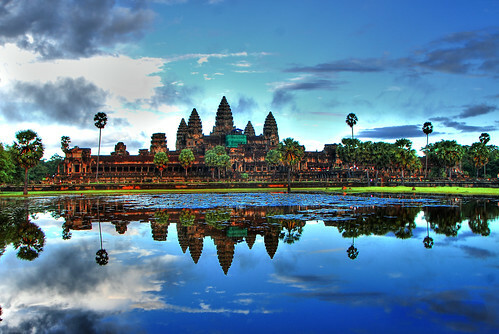 Angkor Wat in HDR. taken in the afternoon around 4 pm. The blue skies are somewhat a blessing, it rained over lunch earlier that day.